The long awaited Timeline revamp for the Facebook profile has arrived, but for some odd reason the popular social networking site hasn’t exactly made it intuitive in how you turn it on. 1. Review what’s on your timeline now, and add or hide whatever you want. 2. Click Publish Now or wait until your timeline goes live on December 22. Learn More. You have the option of cleaning up your timeline before the public sees it, or you can just go ahead and click the button to publish it now. What I don’t see, however, is an option to revert back. It appears that once you’ve chosen to go with Timeline, you’ve fone with Timeline. With that out of the way … what the heck? Why is there no button on your newsfeed page? There isn’t even a mention of it. Going to your profile or settings pages also doesn’t seem to yield any sort of link to allow you to make the change. What Facebook employee thought, “Hey, nifty new feature, lets put it out on its own separate page people have to find or have the link to!” Would it have been that difficult to make it a bit more obvious? Either way, if you’ve been craving Timeline, it’s now out there for the taking. 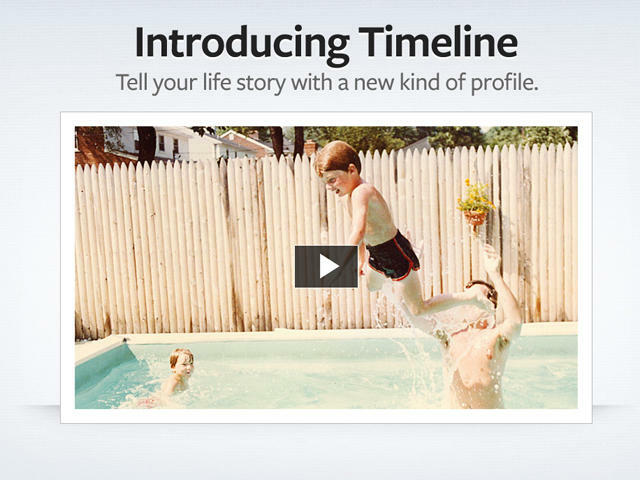 Have you tried Timeline yet? What do you think of it?